Produce and other perishable goods can deteriorate rapidly in low-humidity conditions. It is extremely important to keep your products hydrated while in cold storage. Chillers and coolers strip the air of water, drastically reducing the humidity level of the storeroom. Prodew offers a variety of coldroom storage services, including humidification for produce, meat, seafood, deli and floral. 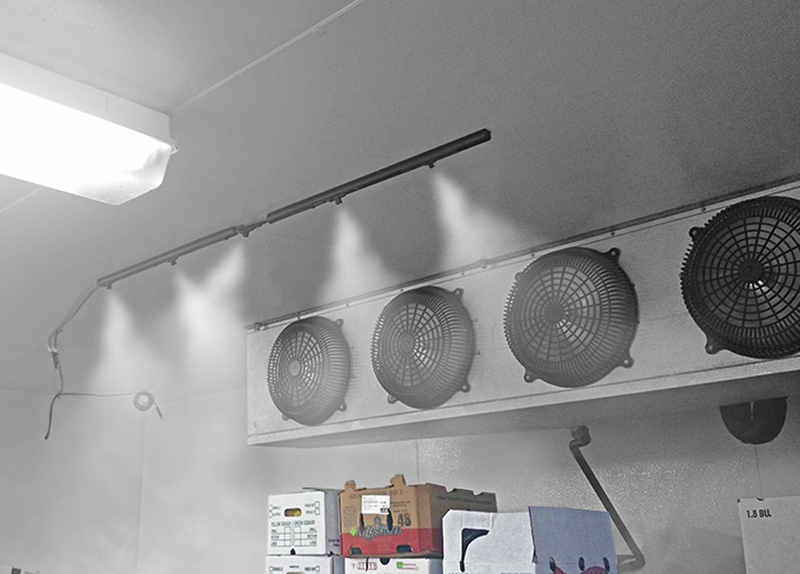 Our storage humidification systems will reduce product loss and labor expenses by extending the shelf life of your products and keeping them fresh and vibrant.